The Southland was deprived again Wednesday of an aerospace light show, as a planned rocket launch from Vandenberg Air Force Base in Santa Barbara County was scrubbed for the fourth time. 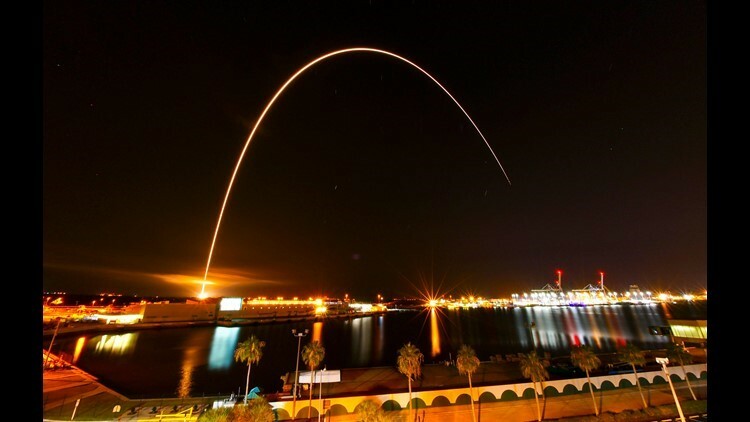 LOS ANGELES (CNS) - The Southland was deprived again Wednesday of an aerospace light show, as a planned rocket launch from Vandenberg Air Force Base in Santa Barbara County was scrubbed for the fourth time. The United Launch Alliance rocket carrying a reconnaissance satellite had been set to take off at 5:44 p.m. The launch was first delayed by five minutes, then it was scrubbed altogether less than 10 minutes to takeoff. ULA did not immediately give an official reason for the delay. Spaceflight Now reported that the scrub was prompted by a suspected hydrogen leak in the port booster engine section of the Delta IV Heavy rocket. The launch was tentatively reset for 5:31 p.m. Thursday. Wednesday was the fourth time the mission has been delayed. On Tuesday night, a planned launch was scrubbed due to high winds. On Dec. 8, the launch was scrubbed just 7.5 seconds before its scheduled liftoff due to a technical glitch. An operational problem had caused a delay in the launch one day prior to that. The Delta IV Heavy rocket will be carrying a secretive satellite for the U.S. National Reconnaissance Office.